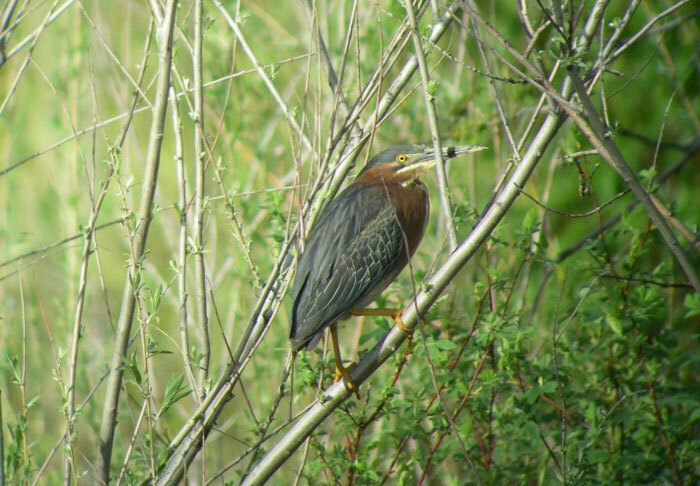 I found a GREEN HERON this morning at the Mendon Rd bridge over the Logan River, in Cache Co. 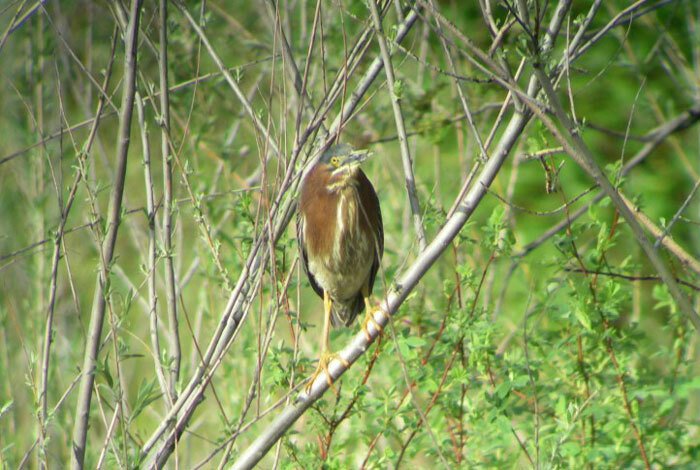 I was able to digiscope a few shots and will be sending a couple to the Utah Birds website (sorry, I don't have a photo-hosting page of my own). The bird did not linger; after <10 minutes it took off and headed north, downstream, and out of sight. crosses the Logan R. The bird was seen on the south side of the road, perhaps 100-200 ft back from the bridge. It was being mobbed by Red-winged Blackbirds.